Forehead acne – the dreaded pimples (zits) that can appear aggressively on your forehead. Forehead acne is really no different than any other acne, except for the fact that acne on your forehead tends to be much more visible than acne on any other part of your body. For this reason, forehead acne is often the main target for acne medicine and cover-up. What Are The Causes Of Acne on Forehead? 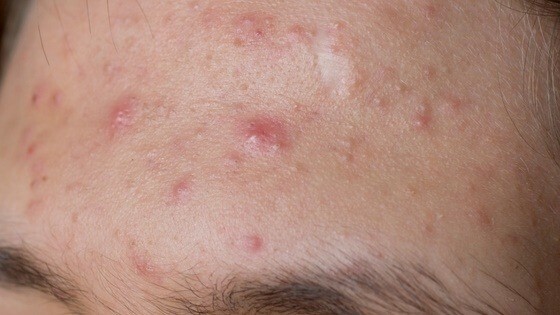 Clogged pores can result in acne. Pores clog when a person's skin produces an excess of oil. This can happen through malnutrition, through excessive hand contact in certain areas, or when the person is simply dirty. Hormonal issues, particularly those which are seen during puberty, can cause an explosion of acne. Other hormonal issues arise during menstrual cycles, when taking certain drugs like antidepressants, or at significant stages in life. Stress can cause outbreaks of acne on the forehead. Digestive problems can cause acne. An excess of greasy foods can lead to malnutrition, which in turn can cause acne. Malnutrition can also cause hormonal imbalances which will further aid to the problem of acne. Dandruff can stick to your skin and lead to acne problems by blocking pores or allowing bacteria to grow. Cosmetics like makeup and hairspray can cause acne. Certain products can cause allergic reactions in some, whereas other products – like blush and cover up – simply clog pores by filling the follicles with cosmetic goop. Popping other pimples can lead to the development of more acne. It's common practice to pop a pimple when it's ready to burst, but doing so is not always the best option. Popping pimples can lead to a spread of bacteria, causing, even more, flareups! There are many causes for pimples to appear on your forehead. Understanding what causes your acne is crucial in figuring out how to get rid of it. Do Home Remedies Work To Get Rid Of Acne On Forehead? Home remedies are often validated only by anecdotal evidence, not thoroughly backed by scientific studies. Home remedies exist, however, because the anecdotal evidence is often positive – which means that, yes, home remedies do work to cure acne. Home remedies are a subjective experience, so the same treatment that works for one person may not work for another. All types of cedarwood contain cedrol and cedrene, which are compounds that have anti-fungal and antibacterial properties. A simple concoction of cedarwood oil mixed 50/50 with water can be applied to the face with a cotton ball. This prevents the skin from excreting as much oil and can stop acne breakouts. Apple cider vinegar works much the same way as cedar oil does – by stopping the production of oil on your skin. Mixing apple cider vinegar 50/50 with water and applying to the forehead on a cotton ball should be very effective at reducing acne. Egg whites can be used on their own, or as part of a concoction. 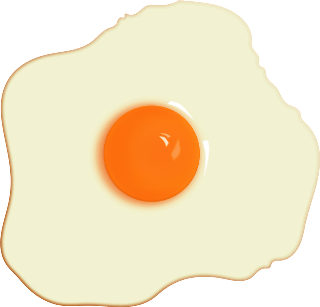 Egg whites absorb oil from the surface of the skin and prevent the skin from producing as much, effectively stopping oil-based acne from being created. Mix an egg white with a teaspoon of milk and a teaspoon of honey. Apply this to your forehead using a cosmetic brush, then wipe off with a cloth or a towel. 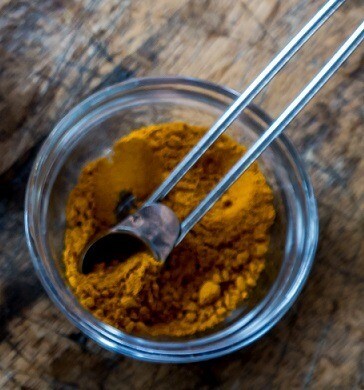 Mix a tablespoon of turmeric with enough milk to create a paste (about one and a half tablespoons.) Apply gently to your forehead. Aloe vera is an anti-inflammatory, anti-bacterial herb, and can be used to reduce symptoms of rashes, dermal fungi, and other skin irritations. Fortunately, it can also be used to heal acne! Make a solution that contains no more than ten percent aloe vera extract. A stronger extract could inhibit the plant's effects as a moisturizer. Apply this solution to your forehead or any other area prone to acne and let sit – the aloe vera's anti-inflammatory properties will reduce any symptoms of acne. Cinnamon combined with honey has been a well-known home remedy for acne for years. Acquire some manuka honey – manuka honey is the most effective at reducing acne. Manuka honey – also known as medicinal honey – has more antimicrobial effects than regular, food-grade honey. Mix three tablespoons of this honey with one tablespoon of medicinal cinnamon. The most effective medicinal variety of cinnamon is known as Cinnamomum zeylanicum. This strain has much more potent anti-inflammatory, antimicrobial effects than the food-grade spice. Red clover is a potent detoxification herb. It's an antioxidant, and its metabolites aid in the production of many essential nutrients – vitamins B, C, E, iron, choli﻿﻿﻿ne, manganese, and calcium – to name a few. 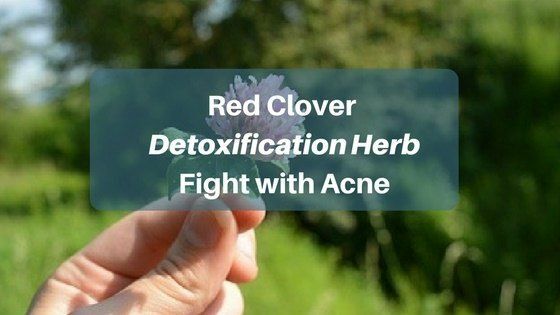 ​Red clover's ability to clear acne is mostly a result of its ability to detoxify the liver. Tea tree oil is often the first natural remedy suggested for curing forehead acne. Apply a few drops of 100% pure tea tree oil to a cotton ball. Camphor is a popular ingredient in many anti-acne creams and lotions available at the pharmacy. Camphor acts as an astringent, tightening your pores and keeping out unclean impurities and bacteria. It's also a powerful antioxidant, which can revitalize damaged or dry skin and remove acne in the process. You can opt to use natural camphor instead of the processed camphor used in acne products. There are a couple reputed methods for doing so. 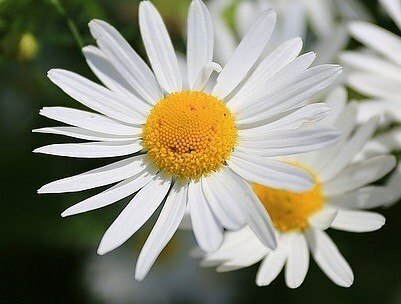 Chamomile has uses beyond simply being a relaxing tea to drink before bedtime! It can be used to prevent acne breakouts. It's an anti-inflammatory and can stop inflammation-based forehead acne in its tracks. The simplest way to use chamomile as a remedy for acne is to brew a cup of chamomile tea, soak a cotton ball in the tea, and then swab the affected areas. Can Forehead Acne Be Cured With Home Remedies? 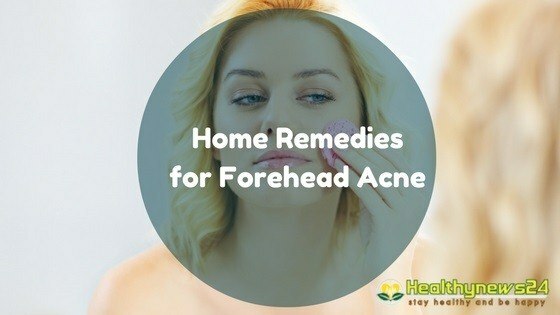 There are a lot of home remedies for forehead acne. It's quite clear that they've been successful for a number of people – and there's no reason they can't be successful for you. Previous Post 13 Minerals and Vitamins for Muscle Growth That Your Gym Trainer Does Not Tell Next Post What Are The Benefits And Side Effects Of Black Cumin Seed Oil? Yes, very effective home remedies. I found out of those that the apple cider vinegar works really well.